For many of us, maintaining our independence as we age can be a challenging task. We may no longer have the strength, the energy, or even many of the abilities that we need to get through the day on our own. This can cause us to slip into a sedentary lifestyle and can reduce our quality of life. So what can we do to maintain our independence as we enter our golden years? One of the best ways to maintain your independence is through getting assistance from providers of in home care services in Macomb, Oakland, and Wayne Counties. These services are personalized to meet your own unique needs in the comfort of home. This means if there is a particular activity or problem that prevents you from living life to the fullest, we can provide assistance. Through these services, you can expect help with your personal care, chores around the house, and many other aspects of your life. This can help reduce stress and allow you to focus on living life on your own terms. When it comes down to maintaining your independence, exercise is a must. Through regular physical activity such as walking, jogging, or even through some simple chair exercises, it is possible to maintain and improve many aspects of your health. Exercise will improve your energy, make you stronger, enhance your mental health, and even help you feel happier. With our in home care assistance in Southeast Michigan, you can receive superb assistance. It can be very easy to spend too much time in the house at an advanced age but it is important to remember to spend some time outside. Being outside can provide many benefits such as improved energy, a stronger immune system, better sleep, better moods, and so much more. Those are just a few great tips that you can keep in mind when you are interested in living life to the fullest. Just because you are getting older it does not mean you have to leave your youth behind. 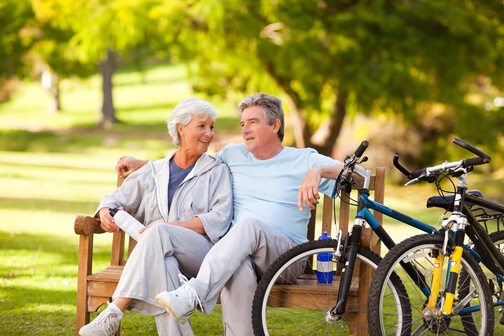 Maintaining your lifestyle and independence is something that we can help you with passionately. Contact Heaven Sent Home Support Services at 248-262-7111 if you would like to know more about our services. This entry was posted in Senior Care and tagged Healthy Lifestyle, In-Home Care, Senior Independence. Bookmark the permalink.